P. V. D. T College Of Education For Women. 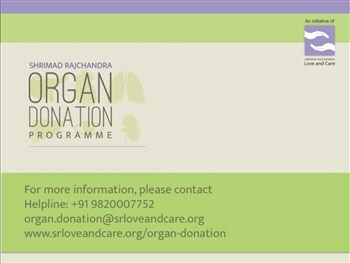 Shrimad Rajchandra Organ Donation Programme is a public awareness campaign to encourage and promote deceased organ donation. Through this global initiative, we aim to bring about a positive change to the current transplant scenario by inspiring people to pledge for organ donation and bridge the huge gap between need and availability! Shrimad Rajchandra Love and Care will be conducting a presentation at P.V.D.T College Of Education For Women to raise awareness on the subject.